Our gunite pools are in-ground and constructed using a high pressure, sprayed-in cement process, custom made to any dimension, shape and site. 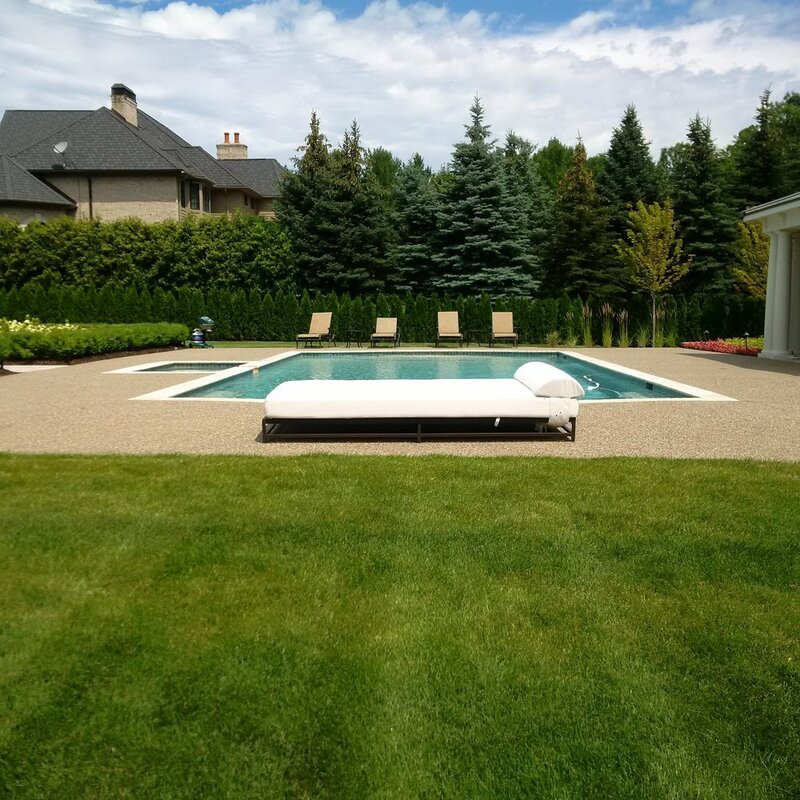 With over 45 years in business, every pool is crafted by our experienced, custom contractors who specialize in their trade. And we stand behind our quality as each gunite pool comes with a 20 Year Structure Warranty, so you know you’re getting a pool with years of enjoyment ahead. Browse through our gunite pool photo gallery and shapes below. 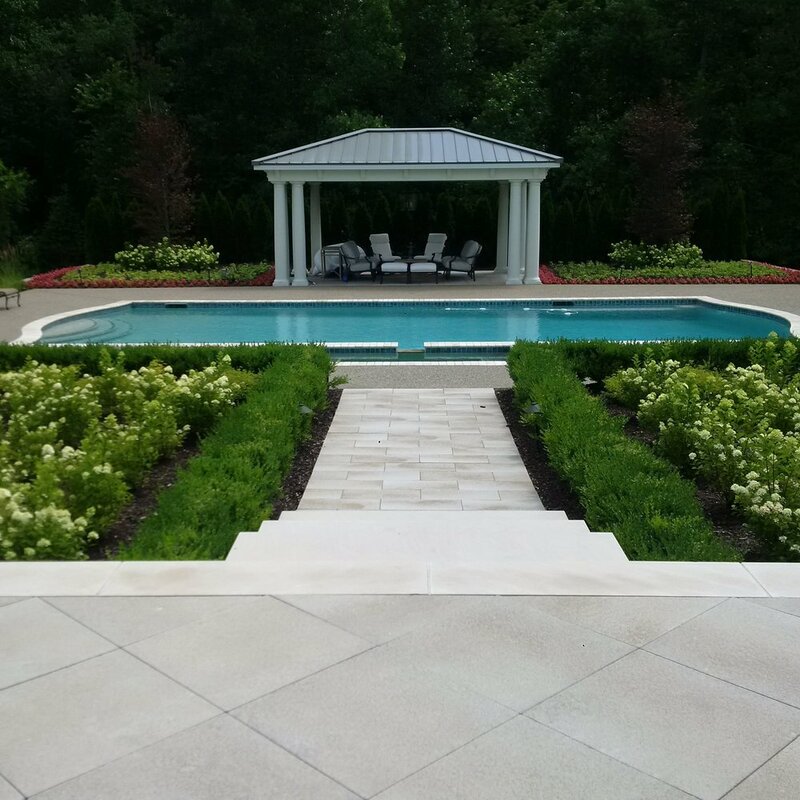 Base pricing for in-ground Gunite Pools start in the mid $50,000 range and overall project costs are based on square footage, additional features, landscaping, fencing, and decking. Our associate is happy to go over these details with you, please call (734) 451-6800 and get started with making the dream of owning a pool your reality.